This story illustrates the difference of opinion and between the old and new generation. They both have firm belief in their knowledge and ideas and they are not ready to change them. The writer represents the young generation and the father represents the old generation. The writer’s father is a heart patient. He asks the writer to write a simple story like the Russian writers used to write. She writes a story. It is a true story. It is about a woman who is a neighbor of the writer. This woman had a son and they both lived nicely in a small apartment in Manhattan. Her son became a drug addict at the age of fifteen. She also became a drug addict just to have a close contact with her son. However, for a number of reasons, her son gave up drugs and left the city and his mother. Now the mother was hopeless and alone. The writer went to see her. However, her father does not like the story. He raises some objections. He says that she has not written the story according to the Russian writers who could write a plain, ordinary story. She writes the second version of the story. She changes it completely. Still he does not like the story and raises some more objections. He objects that she does not want to face the reality. He believes that no character can change. If there is any change, it cannot last long. Therefore, the daughter tries to write a story according to the wishes of her father but fails. 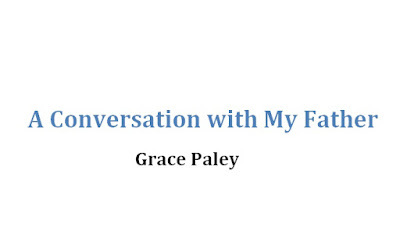 The writer Grace Paley has demonstrated the generation gap in the story “A Conversation with My Father”. Discuss.What is the conflict between the father and the daughter? The writer has demonstrated the generation gap in the story “A Conversation with My Father”. Both father and the writer are not ready to accept other’s opinion. They are not ready to embrace the reality that does not fit to their perceptions. This is the cause of conflict between them. The father represents the old generation. For him life is simple, nice and family oriented. He believes in marriage. He also believes that a character in a story has some individuality and it does not change. He believes that the life story of each character should have some reasonable end. He has his own idea of reality. 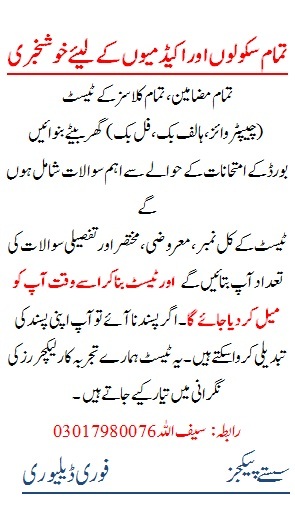 The reality presented by the writer is just a joke to him. He is not going to accept it. The young generation is not ready to look the truth in the face. Whereas, the young generation considers the life story unfinished, complex, and depressing. To them family life of bond of marriage is not important. They believe that every person can change. That is a truth to them. The writer hates the stories that start with the sentence: “There was a…” She fully believes that every character can change with time. The writer, Grace Paley loves her father and is willing to write a simple story for him, but cannot, why?The writer fails in writing a story in keeping with the sensibilities of her father’s time. Comment. When we go through the story “A Conversation with My Father”, we find that the daughter has great love for her father. She wants to please him. She does not want to argue. Even if there is an argument, she is always willing to let her father have the last word. That is why she is willing to write a simple story for him. She writes two stories according to her father’s wishes, but fails to please him. She hates the stories that start with the sentence: “There was a…..” She does not hate such stories because of literary reasons. She thinks that every person or character of a story should have the open destiny. She feels a kind of responsibility for the characters in this respect. She fully believes that every character can change with time. What was the first version of the story written by the writer and what were her father’s objections? The writer’s father asked her to write a simple story for him. The writer did like to write a simple story, but she wrote a story just to please him. It was a true story. It was about a woman who was a neighbor of the writer. This woman had a son and they both lived nicely in a small apartment in Manhattan. Her son became a drug addict at the age of fifteen. It was not usual in that area. She also became a drug addict just to have a close contact with her son. However, for a number of reasons her son gave up drugs and left the city and her in disgust. Now the woman was hopeless and alone. The writer went to see her. The writer’s father did not like the story and he raised many objections. Firstly, he said that she had not written the story according to his wishes. She misunderstood him on purpose. Secondly, she had left everything out. Thirdly, she had not written the story according to the Russian writers who could write a plain, ordinary story. She had not written the story for ordinary people. What was the second version of the story written by the writer and what were her father’s objections? The father of the writer raised some objections to the first version of the story and asked the writer to write the story again. Therefore, the writer wrote the story again. This time she added many things. The story was about a woman. She had a son whom she loved very much. He became a drug addict in his adolescence. He was a writer and wrote articles in newspapers. I order to keep a close contact; she also became a drug addict. However, in spite of that she took great care of her son. She kept many orange juice, honey, milk and vitamin pills at home. Once her son went to a cinema where he met a girl because of the girl, he gave up drugs and started his normal life again. The son asked his mother to give up drugs, but she could not. The son left her and went away. The mother was alone now and she wept for her son. The writer visited her. What kind of story does the writer’s father want her to write? The father of the writer of the story “A Conversation with My Father” asks her to write a simple story for hmm once more. The writer used to write simple stories. He wants that the story should have all the good qualities of a simple story. Firstly, he likes the stories of the Russian writers, so he wants her daughter to write the story according to these writers. Secondly, the story should be written about the real, recognizable people. Thirdly the physical appearance of the characters should be given. The writer should tell even about the hair of the characters fourthly the background of the character must be given. In this way, it will be possible for the reader to find out why the character had become such a person. Fifthly, the bond of marriage must be given a lot of importance in the stories. Sixthly, he believes that the sense of humor must be nice. The writer of the story should face the reality and should give a convincing end to the story. The end of the story must be finished. The characters in a story cannot change and the writer must not try to change them. It is a joke if a writer does therefore. According to him, such a story is against reality and it is not true. He believes that if a character changes it is only for the time being. Why does the writer not like to write a simple story about real and recognizable people? The father of the writer of the story “A Conversation with My Father” asks her to write a simple story for him once more. From a simple story, he means such story as the famous Russian writers used to write. According to him these writer used to write simple stories about real and recognizable people. The writer hates the stories that start with the sentence: “There was a ….” She does not hate such stories because of literary reasons, but because she thinks that, every person or character of a story should have the open destiny of life. She feels a kind of responsibility for the characters in this respect. She fully believes that every character can change with time. What is the theme of the story “A Conversation with My Father”?